The Asiatique the Riverfront is one of the new top night markets in Bangkok, Thailand. With its spectacular Ferris wheel and the beautiful location right on the Chao Phraya River, this place has become a true must-see of the city. 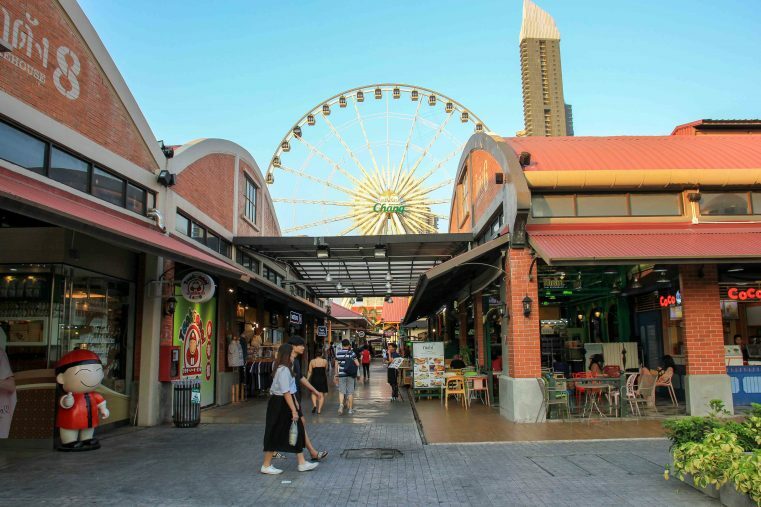 Asiatique is one of the new and modern night markets of Bangkok and actually it has nothing to do with a typical Thai night market. Nevertheless, visitors are excited about the unique atmosphere, countless great shops, plenty of good restaurants. Also the boat ride for getting there is an unforgettable experience. In addition, cabaret shows, Thai boxing and a small amusement park ensure a successful and varied evening in Bangkok. 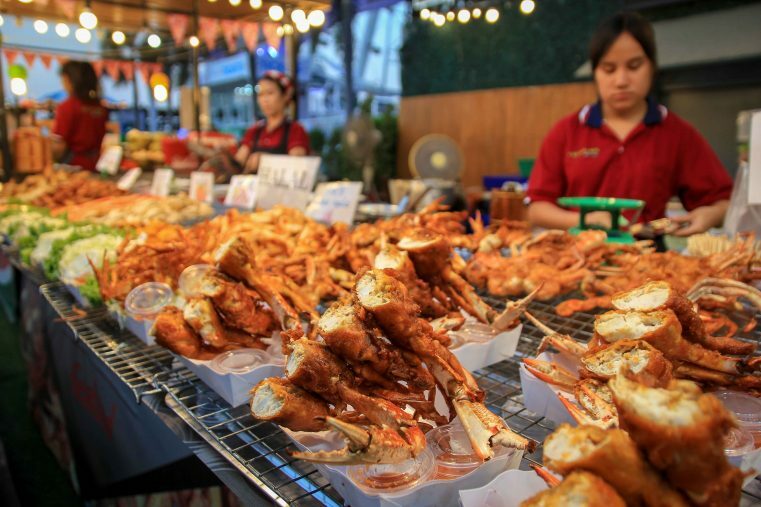 In this travel blog post we provide all important information about the Asiatique night market, opening hours and how you can get there by boat. We’ll also show you what’s so exciting about this night market and what we liked the most. The entire location of ​​the market, which was opened in 2012, is really laid back and the pier and the warehouses were modelled after earlier times. 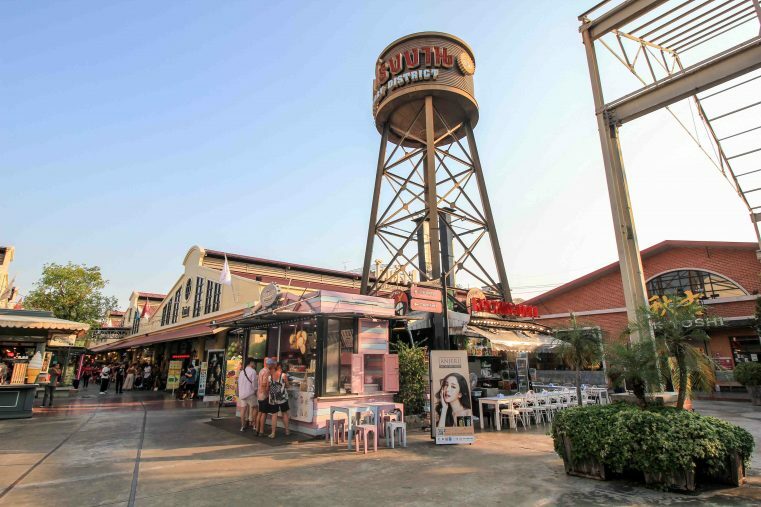 The Asiatique in Bangkok is not just known for shopping, but for a wide entertainment program and good food. On the one hand, the night market offers a great selection of hip products from designers and creatives all over Bangkok – on the other hand, you can also find all kinds of touristy souvenir stuff. 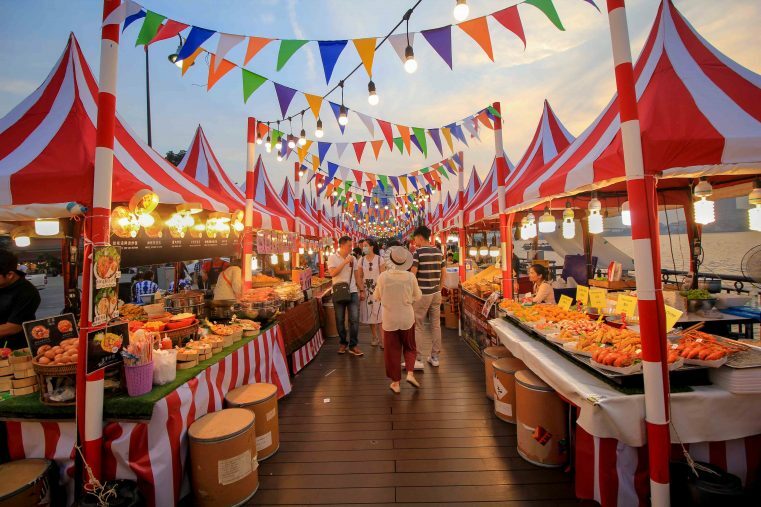 Generally, this night market is very well structured and divided into 4 areas, so everyone can find immediately what they are looking for. Asiatique the Riverfront is a real paradise for shopping-lovers. There are more than 1,000 different boutiques and shops. 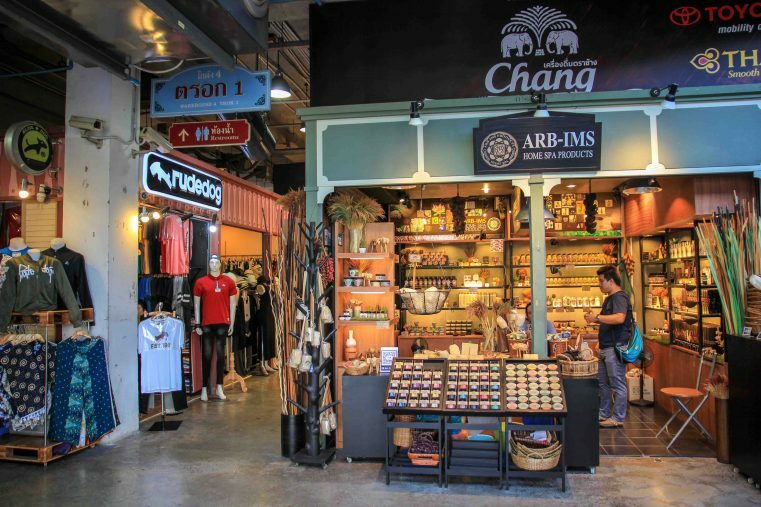 For example, the Chareonkrung District offers souvenirs and handicrafts, or the Factory District specializing in unique fashion, accessories and beauty products. The prices of the entire market are a bit higher than other local Bangkok night markets. Nevertheless, with some bargain skills you can make some great deals. 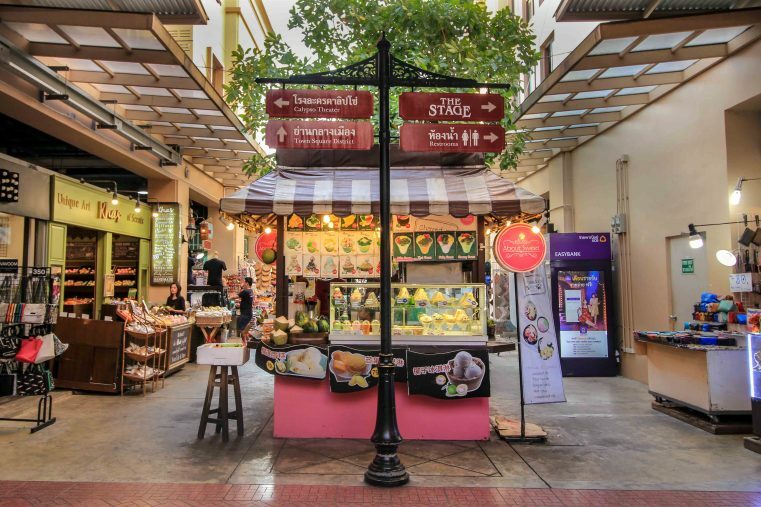 Whether you love French cuisine, Pizza and Pasta, Indian, Vegetarian, Sushi, Halal or Thai restaurant, here at the Asiatique night market the range of good restaurants is unbeatable. There are more than 40 different restaurants to choose and we are sure everybody will find some great food on the market. Especially cosy are the bars right on the beach promenade, from where you can watch the lively hustle and bustle. If you prefer to eat cheaper, ty the street food directly on the promenade just next to the river. 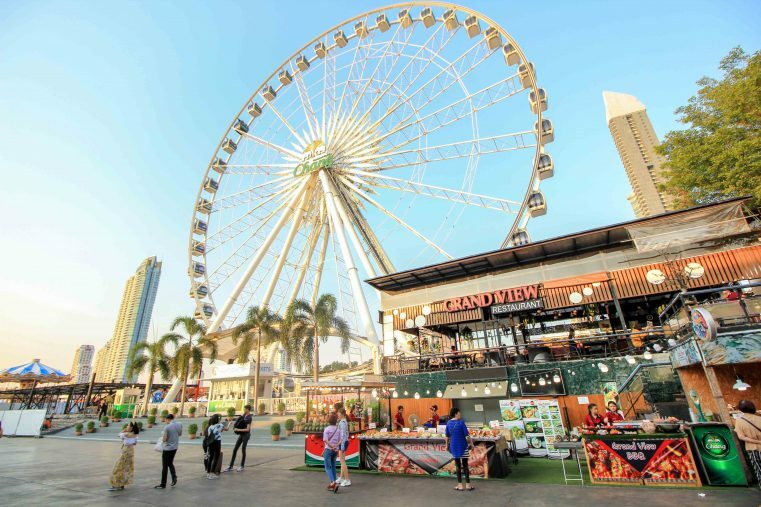 The glittering Ferris wheel, the Bangkok Eye, is the main attraction of Asiatique the Riverfront and can hardly be missed when strolling through the market. 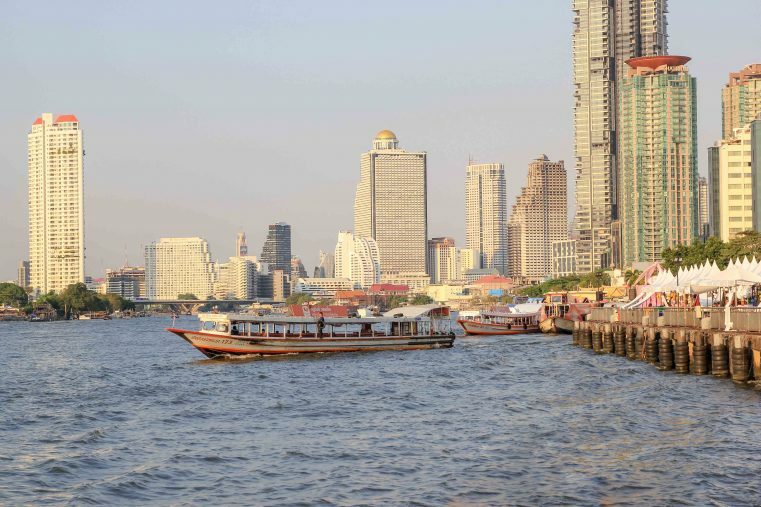 Hop on if you fancy a ride and enjoy the breath-taking view over Bangkok, the river and the breath-taking skyline. The trip costs around 400 baht and takes about 10 minutes. Other small rides are just around the corner, but they are less spectacular. Another popular activity is to watch a Muay Thai boxing match. Shows take place almost daily, from Tuesday to Sunday in “the Stage”. The tickets cost around 1,200 Baht and can be purchased directly at the cash desk. 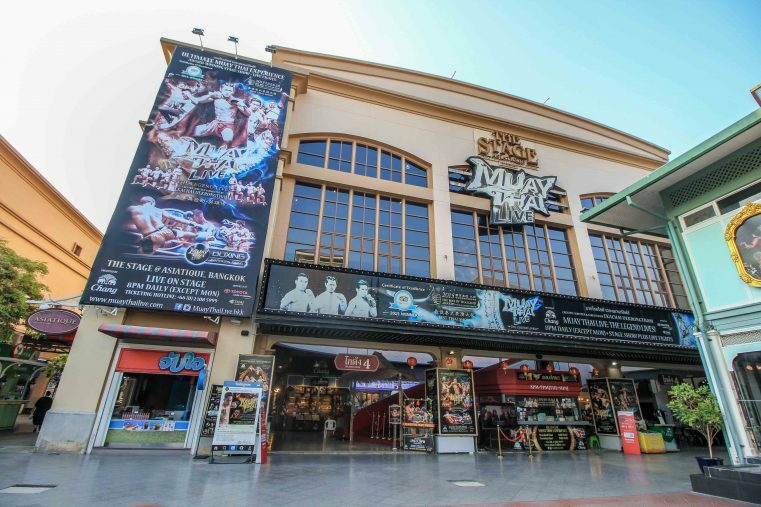 If you want to have a look at a Muay Thai fight, you can combine this perfectly with a visit of Asiatique Market. Guaranteed non-violent but also absolutely entertaining is a visit to the Calypso Cabaret Show. It takes place daily at 19:30 and 21:00. 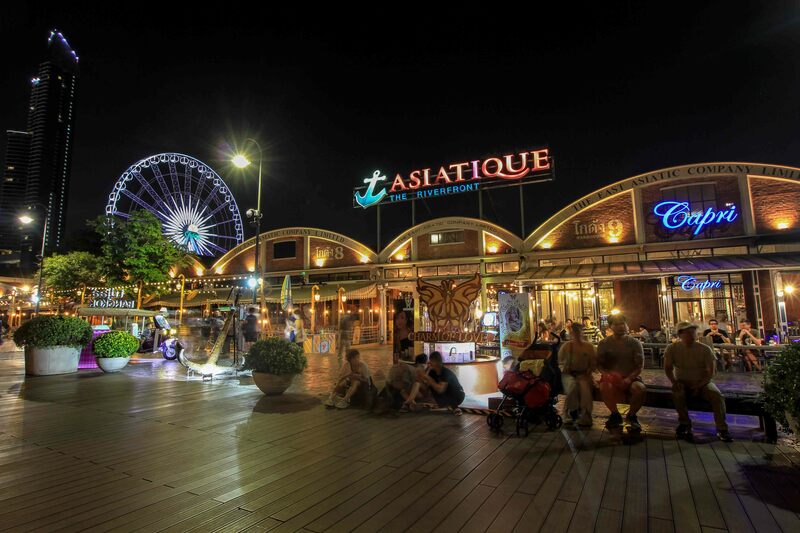 Asiatique the Riverfront is open daily from Monday to Sunday from 17:00 to 0:00. There is no entrance fee for visiting the market. 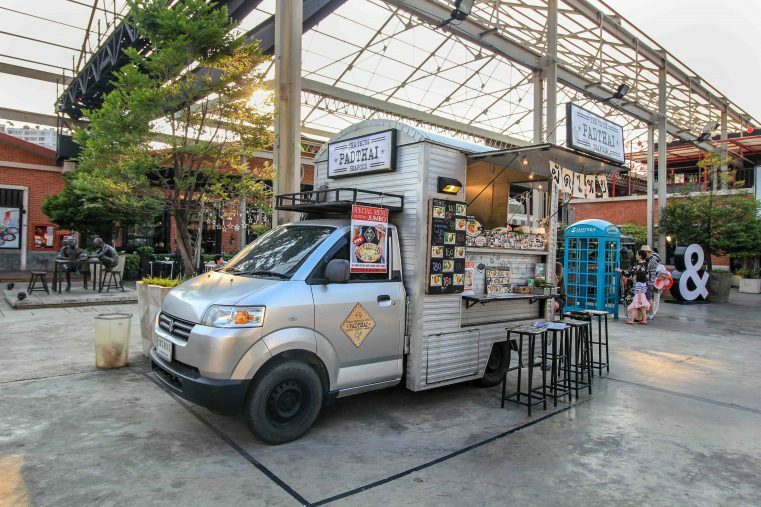 The Asiatique night market is located very centrally in Bangkok and especially tourists appreciate the uncomplicated transport. 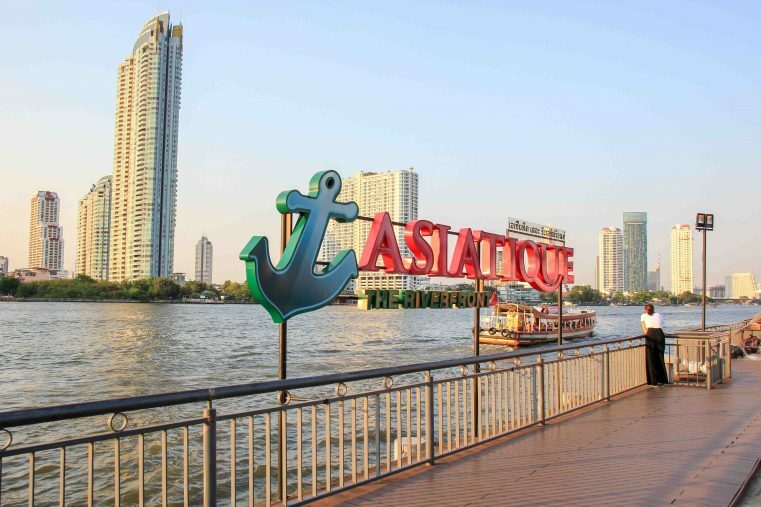 The easiest way to get to Asiatique is by boat or taxi. Here we have summarized the most convenient options for you. By BTS: Taking the sky train the nearest BTS Station to Asiatique is Saphan Taksin. From there you continue with the free shuttle boat from Spahan Taksin to Asiatique the Riverfront. The free boats leave from about 16:30, the last boat is leaving at 23:30 and every 15 minutes. By public boat: Chao Phraya Express boat for 20 baht per person. Taxi: Probably the easiest option, but can often take a little longer due to the increased traffic in Bangkok. Conclusion: Indeed, the Asiatique the Riverfront Night Market is one of the more touristy night markets in the city, but that makes it no less recommendable. Above all, the great location on the river, the beautiful lighting at night, the Ferris wheel and the good restaurants impressed us a lot. The prices are a bit higher than other night markets, but you can still make good bargains here.